Sunny on most days of the year and with a mild climate that is a result of the temperate sea that surrounds it, the island of Kos opens its warm, welcoming embrace to visitors in spring, summer and fall. Spring and fall blend with the long summers, with extreme heat being tempered by the cooling breezes coming off the Aegean Sea. The sky is always bright blue, the days warm, with little or no rain or unexpected downpours. 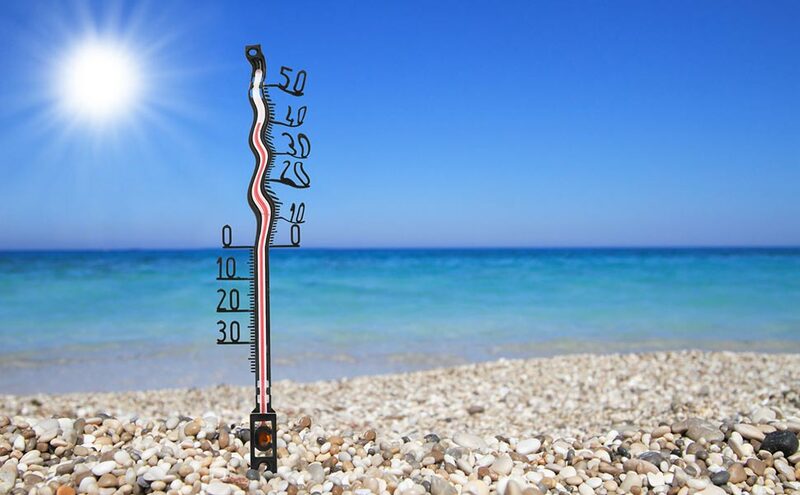 The temperatures during most months of the summer period, which begins early and ends late, fluctuate from around 29ο C to 35ο C, with the warmest periods being the last 10 days of July and first 10 days of August. The winter, mild and rainy, begins late, around the end of December, while January and February are usually the coldest months, with average temperatures between 5ο C and 10ο C. These are also the wettest months of the year, but not without the sun making frequent appearances, lest we forget the island’s Mediterranean climate. During the halcyon days of late January and early February, days are sunny and the temperature rises: a reminder and herald of the summer that will soon come once again.